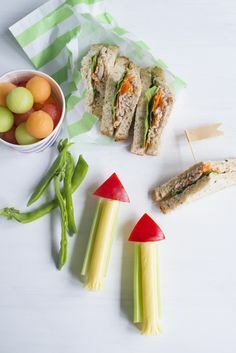 Do you ever get stuck for ideas when you need healthy snacks to fill your child’s daycare, preschool or school lunchbox? So many pre-packaged snacks are loaded with additives, preservatives, salt and sugar so it can be hard to find a healthy alternative that travels well and still tastes delicious. When we get stuck for inspiration, there’s no better inspiration than the community of One Handed Cooks on our Facebook page. 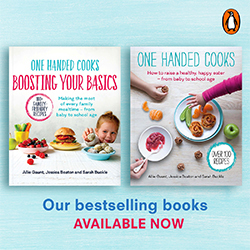 Here are the fab responses for your own inspiration, and we’ve linked so some of our own recipes that you might like to try. 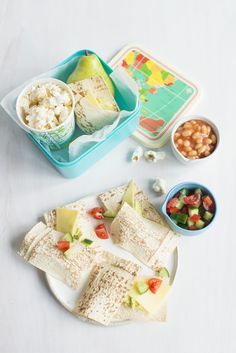 See more information on packing a nutritious and safe travelling lunch box. 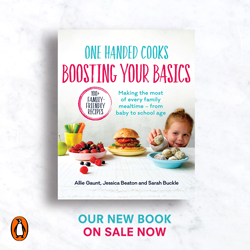 Keep an eye out for our ‘Back to School’ Magazine for a whole range of fabulous healthy back-to-school ideas.